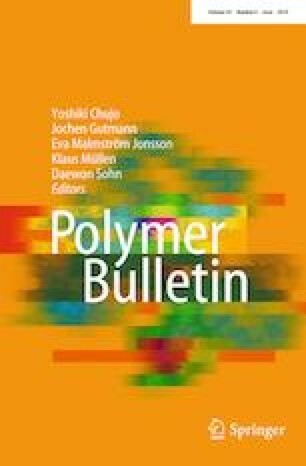 The conducting polymer nanocomposites and bionanocomposites attracted greatly significant attention recently owing to their usage in diverse fields, particularly in electrical storage devices. Conducting hydrogel bionanocomposite based on magnetite nanoparticles (Fe3O4-NPs) was synthesized from chitosan/polyacrylic acid/polypyrrole. Furthermore, different ratios of Fe3O4-NPs were added to the synthesized biocomposites to improve the thermal and the electrical conductivity properties of the conducting bionanocomposites hydrogel. In addition, morphology and swelling percentage of the fabricated bionanocomposites hydrogel were investigated. The influence of the conductive polymer and the magnetite nanoparticles on enhancement the conductivity of the bionanocomposites is the main objective of this work. The broadband dielectric spectroscopy was employed to study the electrical and dielectric properties of the investigated samples. The addition of PPy increased the conductivity of the hydrogel by about four orders of magnitude. Furthermore, the effect of adding Fe3O4-NPs at ratios 1–5 wt% was at the satisfactory level. Authors gratefully acknowledge the National Research Centre (Projects Nos. 11050102 and 11050105) for their financial support of this research.